In light of recent retailer data breaches and with credit and debit card fraud becoming more frequent, be sure to read and follow these 8 steps to protect yourself and your identity from being stolen. 1. 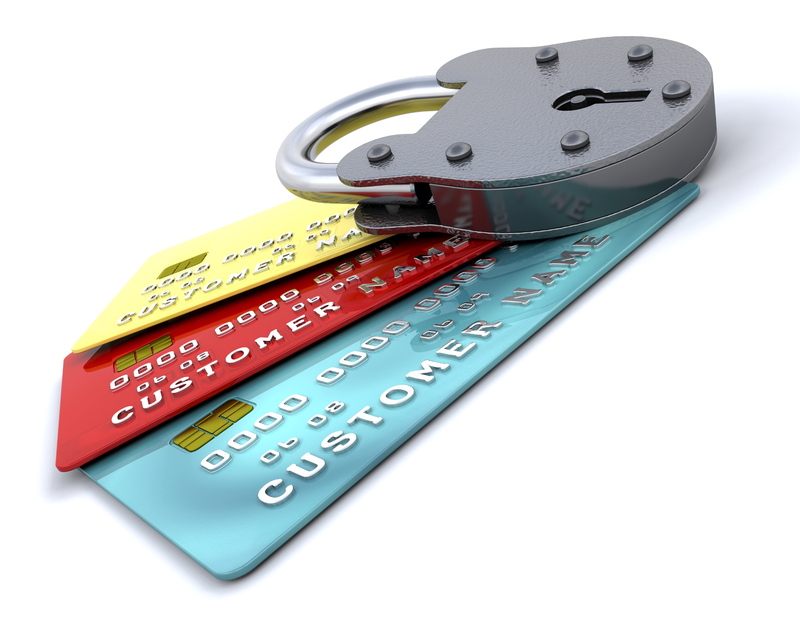 Be sure to get a new replacement credit or debit card if yours was compromised. If you suspect fraudulent transactions on your card and your financial institution hasn’t contacted you or provided you with a replacement card – be sure to call and request one. 2. Check your bank account and credit card activity online to see whether your card was used at any retailer that was recently hacked. Don’t wait for your print statement to come in the mail; check the latest account activity digitally with online access to your account information or by using a mobile banking app. Also watch out for changes to your debit card PIN. 3. Be alert for post-breach phishing attempts. Hackers don’t always get everything they need to break into your accounts, so they will typically send you emails or even call on the phone and pose as your bank or card issuer to try to trick you into giving up the missing pieces, including mother’s maiden name, account username and password, date of birth, and Social Security Number. Do not give this information out – your bank will never call, text, or email you for the information you already provided when you opened your account. 4. Lock down your credit report with a security freeze, which essentially shuts off access to your credit history by new would-be lenders. If a hacker applies for a loan in your name, the creditor is less likely to approve it if he or she can’t see your credit file. Freezes are typically free for victims of identity theft. 5. Get as many free credit reports as you can per year so you can regularly monitor them and keep an eye out for fraudulent new accounts. You can get three free credit reports (one from each credit bureau) from annualcreditreport.com. You’re also entitled to a free credit report from each bureau after you file a 90-day fraud alert, which you should do every 90 days if you’ve been a victim of a data breach, or have a good-faith suspicion that you’re about to become a victim of identity fraud. 6. Ask merchants big or small if they’re PCI-DSS compliant. If they don’t know or have not even heard of this most basic of data security measures, pay with a credit card, rather than debit card. Fraud theft from your checking account/debit card can set off a cascade of headaches, including penalty fees for bounced checks or insufficient funds. 7. Change your passwords regularly on your various financial accounts and use strong passwords to thwart hackers and protect yourself online. 8. Don’t panic, but take a breach threat seriously, because this problem is now a fact of life until the big payment card brands, banks, and retailers improve the security of payment processing systems in the U.S. This entry was posted in Credit Management and Credit Cards, Preventing Identity Theft and tagged Data Breach Protection, First Financial Federal Credit Union, ID Theft Protection, Monmouth and Ocean Counties by VP of Marketing and Business Development Jessica. Bookmark the permalink.